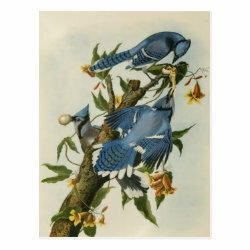 This image is a painting by John James Audubon of three Blue Jays, completed some time in the early 1830s. The three birds are stealing More... eggs, probably from a dove or quail nest. 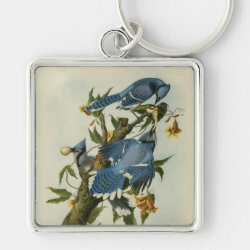 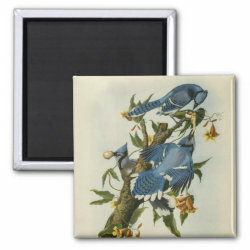 This work was one of the original paintings included is Audubon's life work, the Birds of America. 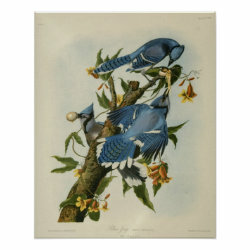 Of Blue Jays, Audubon himself wrote, "Who could imagine that a form so graceful, arrayed by nature in a garb so resplendent, should harbor so much mischief..."